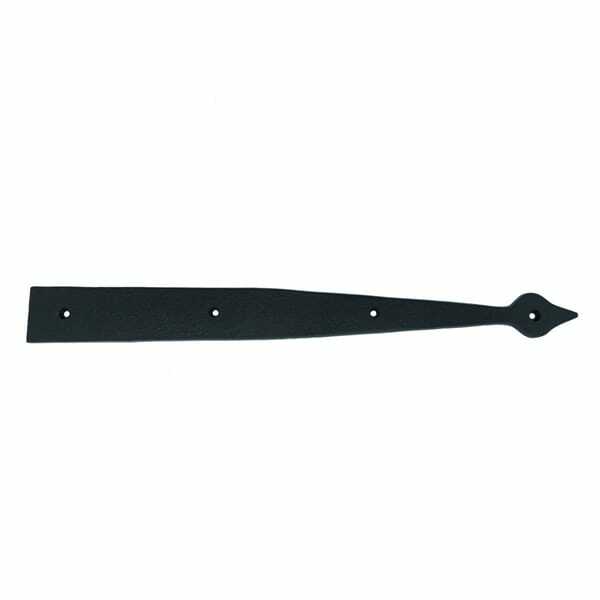 Faux (or dummy) Strap Hinge. Cast Aluminum, Spade tip. 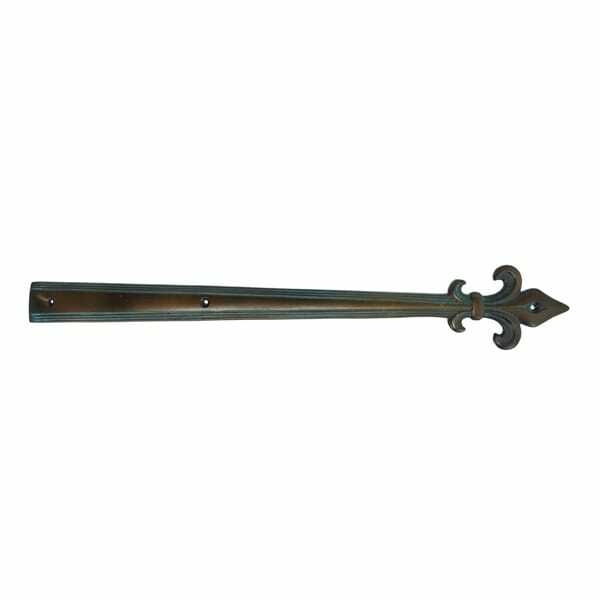 Faux spade style strap hinges feature a classic look. 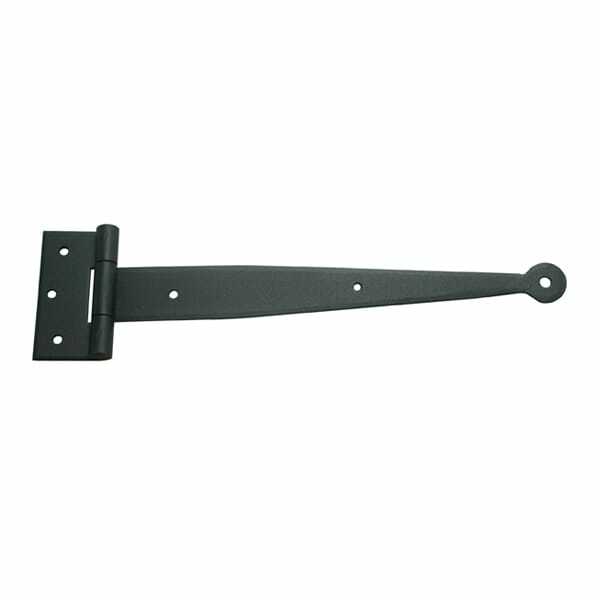 Faux straps can be used where the look of a strap hinge is desired such as on garage or carriage house doors. 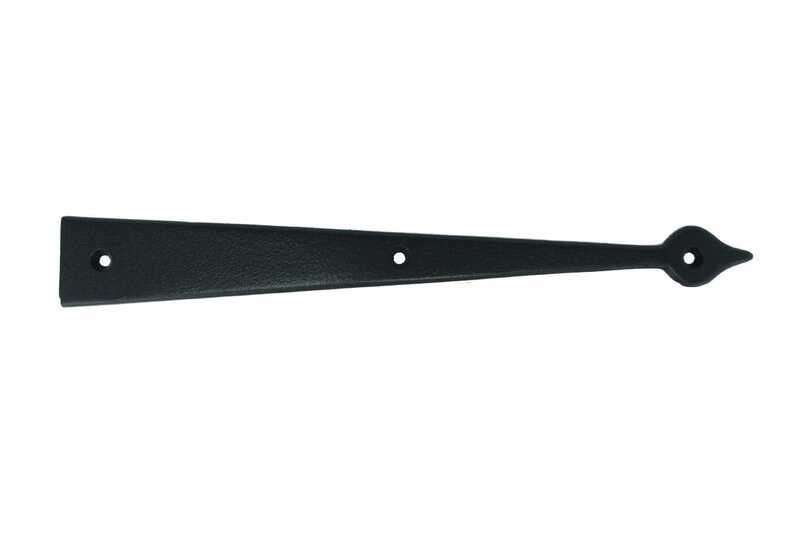 Heavy cast aluminum and textured black epoxy paint offer the classic look of cast iron but offer superior corrosion resistance. 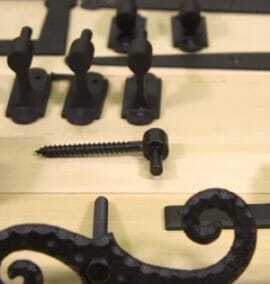 Made in the U.S.A and includes stainless steel screws.